Weekends are precious, especially when you start working. Unlike those days when we were students, back then we were our own bosses (in a way) and had the autonomy to manage our own time (even if that means secretly skipping some classes). Hence, when the weekend finally arrives I'll do my best to make sure it is well spent. Although it can be oh-so tempting to want to sleep in on a Saturday morning, I think I have finally found my motivation for waking up early - A Good Brunch. 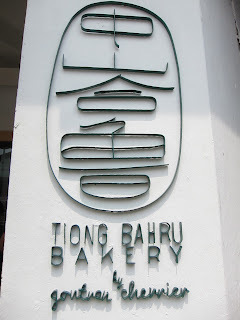 This weekend my cousin suggested a place for us to brunch at called Tiong Bahru Bakery. 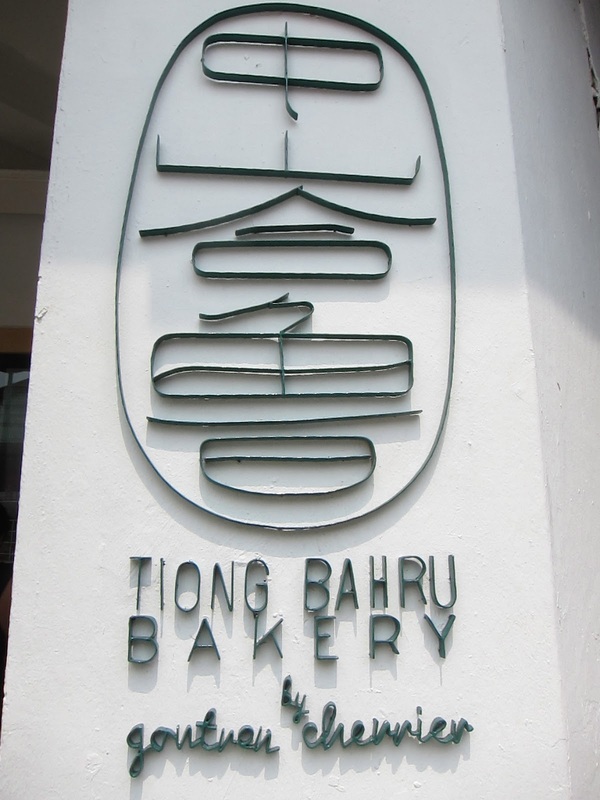 She was quite insistent that we visit the original one at Tiong Bahru and not the other outlet at City Hall even though the latter was clearly more accessible. After eating there today, I am glad she did. 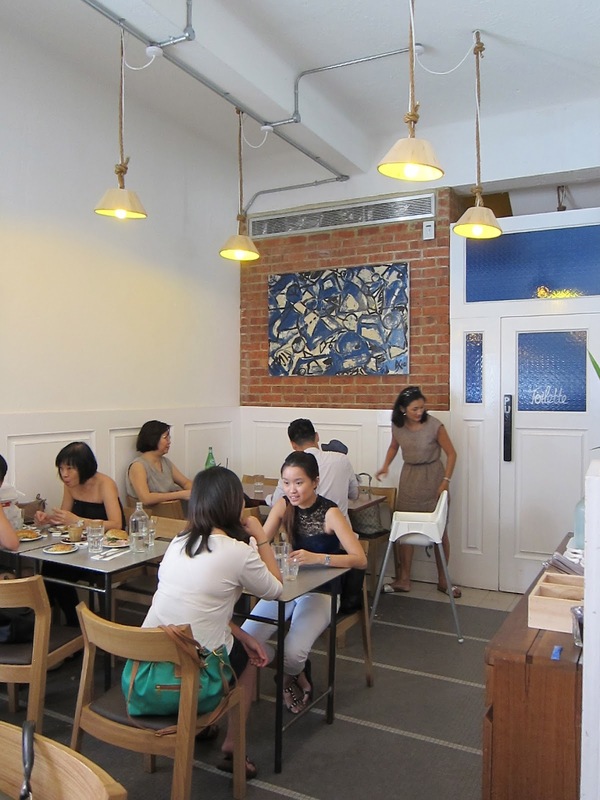 The Tiong Bahru joint was much brighter and lively than the one I had brisked past at City Hall. Then downside was that it was way more crowded but the staff was efficient and the line moved pretty quickly. I had the Kouign Aman. Think of a light croissant - crispy, buttery layers topped with salt and caramel. More tasty than their plain croissant and not too sweet, which I liked. They also provided an assortment of fruity jams at the side (self-service). I picked a dark, pump colored one which I suspected was a mixture of fig and blueberries. KH had "The Speciality Bun with Bacon" and not being a big fan of bacon, I only took a small bite out of it. It consisted of bacon as its name suggests, onions, rocket salad and sun-dried tomatoes. The bacon strip was neither deep fried nor salty but still tasted good. A much healthier way of consuming bacon has been invented (hurray!). The bun was really soft and not heated. Personally, I prefer my carbs hot and crusty but this was ok too. The coffee was divine (probably the best part of my meal). 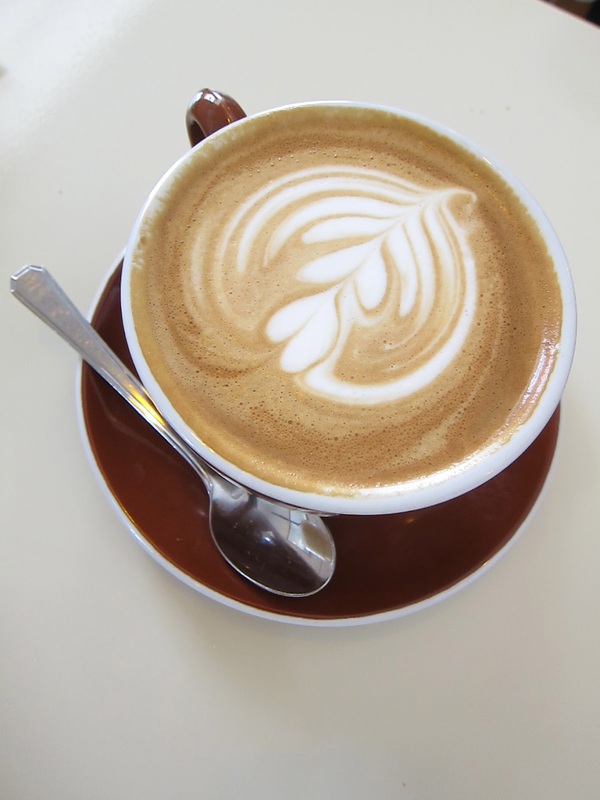 I had a simple latte. Later, I learnt that the coffee was provided by Forty Hands (also part of the Food Collective owned by Spa Esprit Group.) Fun Fact: This is the same group behind the concept of House @Dempsey and Skinny Pizza, both of which I enjoy. Definitely looking forward to checking out their other food joints that I haven't tried, like Open Door Policy and Forty Hands. Overall, I think it's a pretty decent place for an afternoon tea or a light snack if you are around the area (Tiong Bahru can be pretty far and there's not much to do around there except eat *again* at other places, which we almost did at Rachel's outrageous suggestion if our bellies weren't at the brink of exploding). 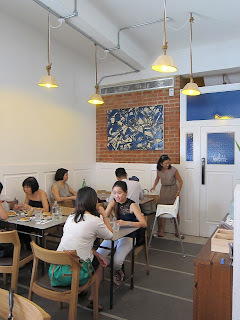 Reviewed by Amanda Lim on Sep 9 2012 .